January 25, 1921: William T. Sedgwick dies. William Thompson Sedgwick (December 29, 1855, West Hartford – January 25, 1921, Boston) was a key figure in shaping public health in the United States. He completed his college education at the Sheffield Scientific School at Yale University in 1877 and received his PhD from Johns Hopkins University in 1881. He taught at the Massachusetts Institute of Technology (MIT) from 1883 until his death in 1921, aged 65, initially as Associate Professor (1884), as tenured Professor (1891) and eventually as head of the department of Biology and Public Health. Also, he was curator of the Lowell Institute from 1897 on. 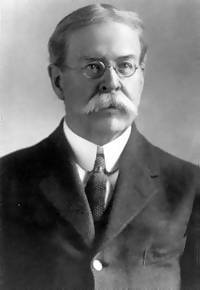 Sedgwick was the first president of the Society of American Bacteriologists (now American Society for Microbiology) in 1899-1901. He was a mentor to George Warren Fuller and George C. Whipple who would both go on to notable careers in water and wastewater technology. Reference: “William Thompson Sedgwick.” http://en.wikipedia.org/wiki/William_T._Sedgwick, retrieved December 27, 2012. January 25, 1945: CDC Honors 65 Years of Community Water Fluoridation. 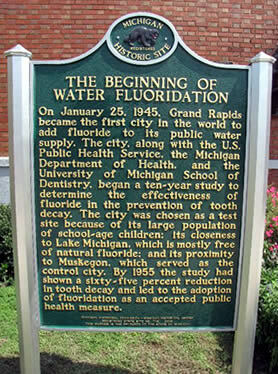 “Sixty-five years ago, on January 25, 1945, the city of Grand Rapids, Michigan, added fluoride to its municipal water system and community water fluoridation began. Since that day, this simple, safe, and inexpensive public health intervention has contributed to a remarkable decline in tooth decay in the United States, with each generation enjoying better oral health than the previous generation. 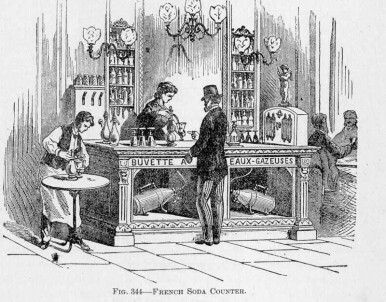 This entry was posted in Year 2 This Day in Water History and tagged drinking water, fluoride, Grand Rapids, Michigan, public health, soda fountain, The Chlorine Revolution, water, water history, William T. Sedgwick on January 25, 2014 by safedrinkingwaterdotcom.